It happened on 7th June. A little group of smiling people decided to ride on the narrow gauge. The route is Bansko-Septemvri. I’ve read some history about the narrow gauge. 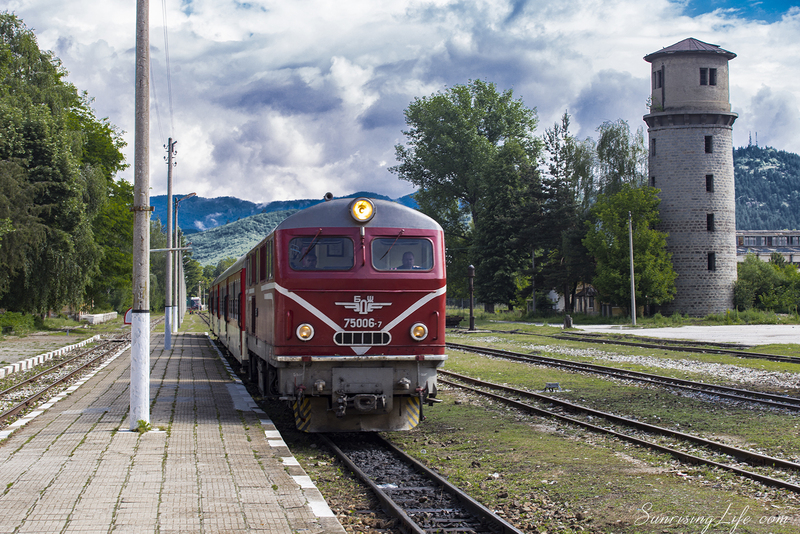 It dates back to 1929 and it is between the stations Sarambei(Septemvri) and Ludjene(Velingrad). 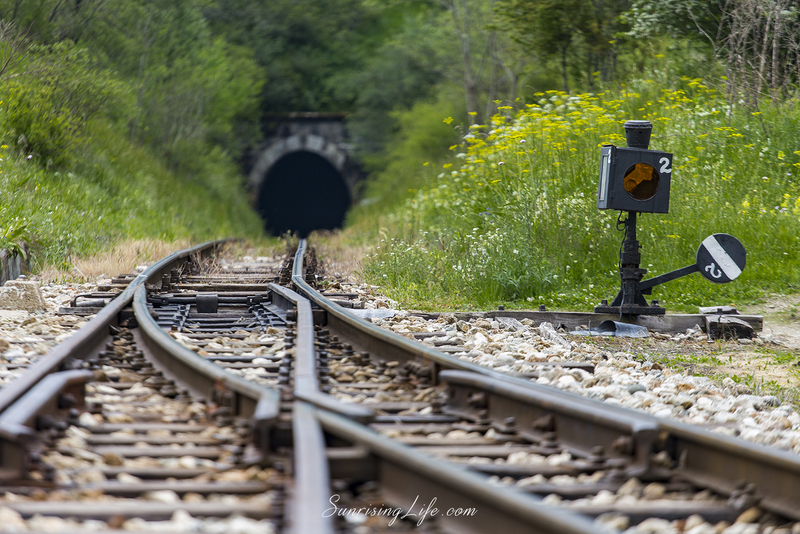 It is one of the very few railways that climb more than 200 meters in less than 9 kilometers. 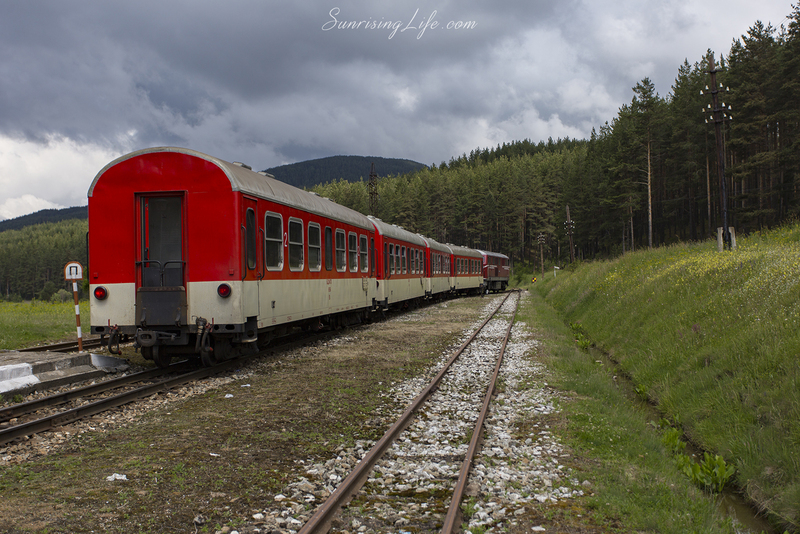 From Velingrad to Septemvri the line runs along the gorge of the Chepinska River. The route passes through 16 tunnels, 2 spirals, and one 180o turn. 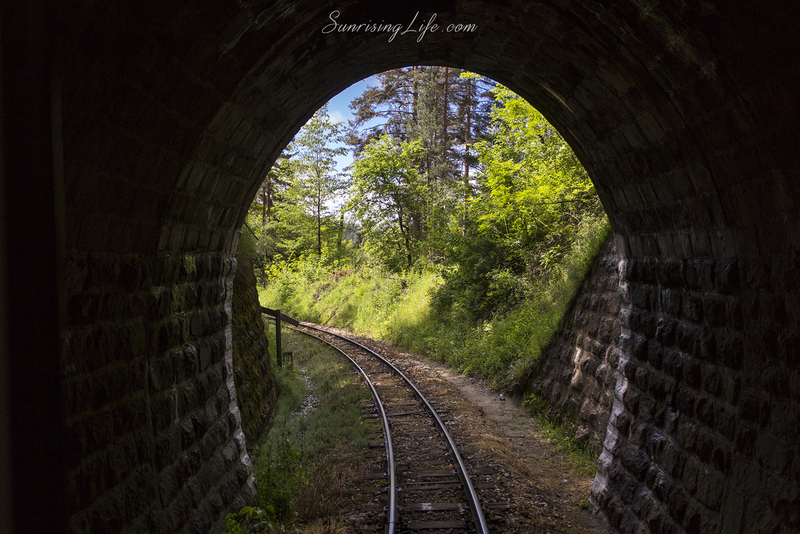 The average speed of the narrow gauge train is 40km/h. First, the rail line was planned to go to Nevroskop (Gotse Delchev) but it reached only Dobrinishte. 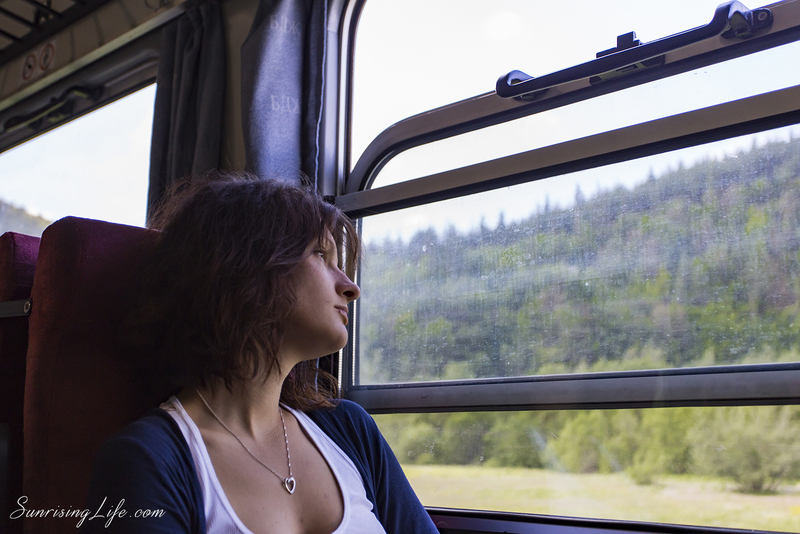 We get on the narrow gauge from Velingrad and our final destination was Avramovo – the highest station in the Balkans (1267 meters high). Still, no one knew that our journey is just beginning. We all fall silent and enjoy the trip everyone in their own way. For me, it was a charming and really personal experience. Since I was a child my grandma has been talking for the narrow gauge. And I truly wanted some day to experience this. The train itself is incredibly small and cozy. I immersed myself in the world of dreams. Those beautiful nature pictures that I saw can’t be written. It’s amazing and you certainly have to experience it. The places where narrow gauge passes are like forgotten from God. Peace reigns all over the route. You just can’t be tense or angry. With every minute you are getting more and more peaceful. The narrow gauge passes through the tunnels and over high cliffs. Some of us were excited and didn’t stop making pictures and taking mini tours in the narrow gauge. The others were sitting on their places and starting the beauties through the windows. When we arrived it was colder than Velingrad but the air was fresh. There was a group of children who was playing and laughing on the green meadow near the station. Everyone find what was the best for himself. Some of us find a place to sit and enjoy. The others went to take pictures of everything there. We made some walks around the station. There was a road nearby the station building. 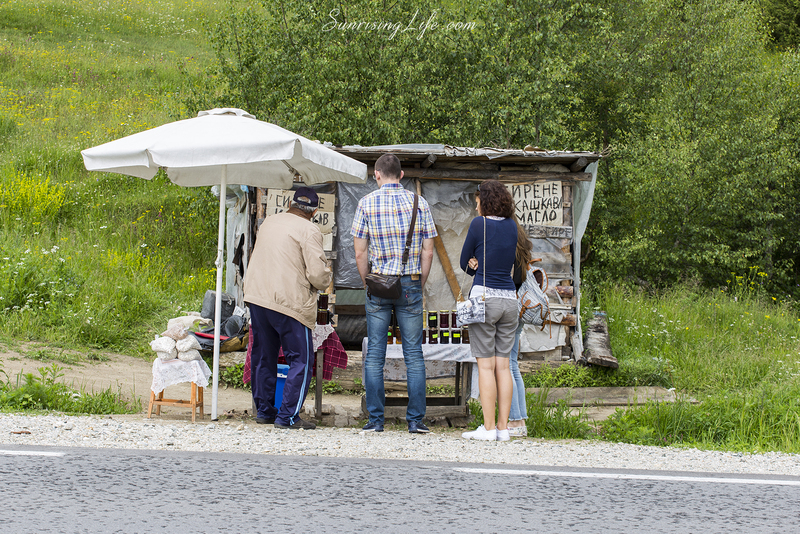 On that road, an old man was selling homemade products like honey, jams, sheep cheese, butter, milk and some other stuff. Some of us bought some things from him.We had over an hour until the narrow gauge come back to take us back to reality. So we took some pictures.The time passed so quickly. We said goodbye to this beautiful place and welcomed the narrow gauge. The way back was more quiet and thoughtful. Everyone was deeply immersed in himself. We recommend this place. It’s beautiful, peaceful and you can fall deep in yourself and experience something different.